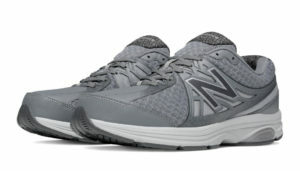 The New Balance 847v2, an upgraded version of the 847, offer premium foams to cradle the feet and cushion the top of the foot. It is good for athletic activities, especially in coping with a large amount of walking. It looks after the feet and provides remarkable long-lasting comfort. 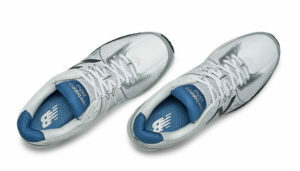 The shoe can glide your feet weightlessly on the stability provided by its enhanced cushioning. 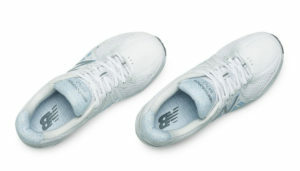 These sneakers come in men's and women's sizes. With mesh on both sides of the panels, the shoe is very breathable and lightweight, idea for summer wearing. 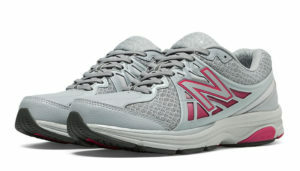 To match its excellent performance, the New Balance has new drops with more stylish colorways to choose from. Also good at work when lots of walking is involved. Lightweight and breathable for wearing in summer. It offers extra wide sizes. It has lots of cushioning; each step is like walking on a padded floor. It offers excellent stability and support. There are new colorways available. The shoe runs a bit smaller. The shoe squeaks when walking. Some people find some of the previous colorways of the shoe a bit ugly. It is a great, comfy shoe, but maybe the cosmetic changes are not so great. 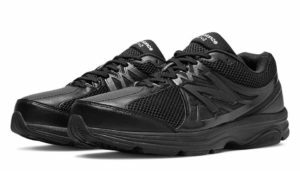 The New Balance 847v2 is a great walking shoe capable of looking after your feet, especially when long hours of walking is required. It has tons of cushioning and padding. Some wearers use it for exercise, walking for 7 or 9 miles a day. Some people wear it at work, in warehouse, for example, walking up to 8 miles a day. The shoe passes the tests! It is all about comfort for walking. To some users, the 847v2 is way more comfortable than some shoes that are 2-3 times more expensive. 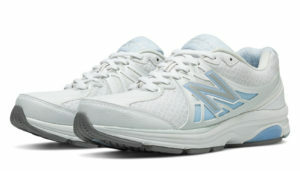 Although it is not that kind of stylish sneaker, it is certainly a shoe of good value and well built for hard duty. 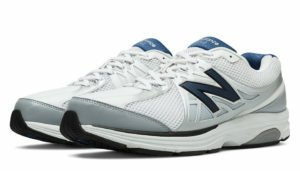 This new version of New Balance 847 seems to run slightly shorter. 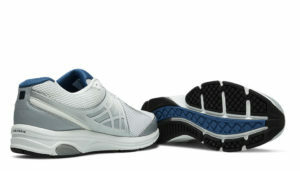 Although a few users do not have the sizing problems, but some do find this shoe run small in both length and width. Some users who also have worn 847 for years also notice it and need to go a half to one size up for the best fit. For example, a wearer of size 10.5 EEEE ordered an 11.0 EEEE and it fits great. Some wearers with wider feet also find they have to go up in width. For example, a user of 4E width needed to get this shoe in a 6E to fit his feet. 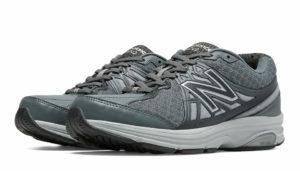 The shoe uses synthetic/mesh upper, very light and breathable. The LIGHTNING DRY® liner can keep the feet dry and comfy when it gets hot and sweaty during training or at work. The shoe is very well padded with Ortholite collar foam, Ortholite heel foam, and Ortholite tongue foam. 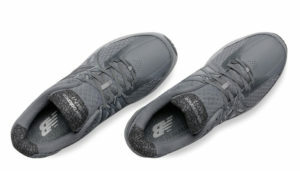 The shoe has Ortholite® foam insert which delivers odor resistance, long term comfort, and superior breathability. 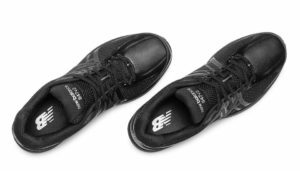 The ROLLBAR midsole and ABZORB cushioning provides the well-appreciated cushioning and stability during long hours of wearing.